This webinar will be an exciting discussion between two teachers working with students with in special education settings around how they are making the Digital Technologies curriculum work for their students. It will explore some different perspectives on how to address the requirements and challenges of the curriculum, and will look at some practical examples of what is already happening in classrooms. This webinar will encourage audience participation, with ample time to ask questions and to share experiences. 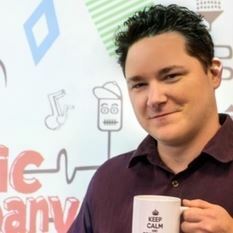 Matthew is an experienced educator, researcher and entrepreneur with a keen passion for utilising technology to enhance children's learning and creativity. He has taught in Australia, South Korea and the United Kingdom at primary, secon dary and tertiary levels. Matthew is currently leading workshops at the University of Melbourne Graduate School of Education focusing on inclusive education and the creative use of digital technology as a teaching and learning tool. In addition to this, Matthew is a leader in using technology to work with students with disabilities in a Special Development School (SDS). He is the founder of the edtech startup Hatt Designs and co-founder of CollabHer. 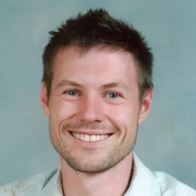 Clark Burt is a special education teacher and former lecturer and tutor at The University of Melbourne and RMIT. He is currently on Study Leave from Ashwood Sc hool and is running intervention studies at schools around Victoria. He is also a committee member of the Australian Association of Special Education (AASE) Victorian Chapter and has worked with the Department of Education developing the Digital Technologies curriculum for levels A – D.